WACO, Texas (March 25, 2019) – With Baylor in Latin America one of the five signature initiatives of the University’s Illuminate academic strategic plan, a top scholar who has researched and taught about religion in Latin America for nearly two decades joined the Baylor University faculty this semester. Juan Carlos Esparza Ochoa, Ph.D., director of the Program on Religion and Latin America Studies in the Institute for Studies of Religion (ISR) at Baylor, also will serve as research assistant professor in both ISR and Baylor’s Diana R. Garland School of Social Work. From 2011 to 2018, Esparza Ochoa managed data for the global religious demography projects housed at the Pew Research Center. He is the co-director of the Project on Religion and Economic Change, where he measures the impact of Protestant and Catholic pastoral care, missionary activity and humanitarian work on education, health, economic development and political outcomes around the world. 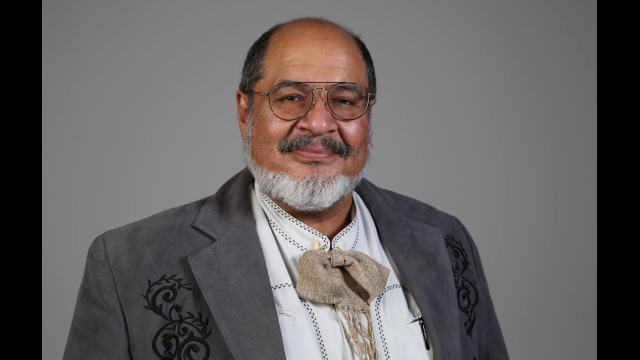 Prior to earning his Ph.D. in sociology from the University of Texas in 2012, Esparza Ochoa did ethnographic research and has worked with Mexican indigenous communities in the Sierra Papanteca, the Huasteca Potosina and the Nayar. Illuminate calls for Baylor faculty to engage in multidisciplinary academic initiatives and contribute as mentors to undergraduates and graduate students through high-impact learning experiences. Specifically, the Baylor in Latin America initiative facilitates meaningful collaboration across disciplines that will help improve conditions within Texas and Latin America in areas such as health and disease prevention; business development and international trade; human capital formation and education; immigration, migration and human trafficking; congregational development; democratic governance and economics; and culture and arts. “Juan Carlos brings to Baylor a scholar born and raised in Mexico who has been active in conducting research on religion around the world,” said Byron R. Johnson, Ph.D., ISR director and Distinguished Professor of the Social Sciences at Baylor. In addition to Baylor in Latin America, Illuminate’s five signature initiatives have been developed around areas where existing collaboration already is yielding results, such as in areas of health, data sciences, materials science and human flourishing, leadership and ethics, and where continued work galvanizes interest among faculty and academic leaders on campus. Launched in August 2004, the Baylor Institute for Studies of Religion (ISR) initiates, supports and conducts research on religion, involving scholars and projects spanning the intellectual spectrum: history, psychology, sociology, economics, anthropology, political science, epidemiology, theology and religious studies. The institute’s mandate extends to all religions, everywhere, and throughout history, and embraces the study of religious effects on prosocial behavior, family life, population health, economic development and social conflict. For more information, visit www.baylorisr.org. Baylor University’s Diana R. Garland School of Social Work is home to one of the leading graduate social work programs in the nation with a research agenda focused on the integration of faith and practice. Upholding its mission of preparing social workers in a Christian context for worldwide service and leadership, the School offers a baccalaureate degree (B.S.W. ); a Master of Social Work (M.S.W.) degree available on the Waco or Houston campuses or online; three joint-degree options, M.S.W./M.B.A., M.S.W./M.Div. and M.S.W./M.T.S., through a partnership with Baylor’s Hankamer School of Business and George W. Truett Theological Seminary; and an online Ph.D. program. Visit www.baylor.edu/social_work to learn more.